Potty Training Prep. When your little one is not quite ready for full potty training but wants to start working on the skill. I once joked that Kaitlyn would be potty trained before Brayden, though I didn’t really believe it. Well, five months after the completion of successful potty training by Brayden, Kaitlyn is now in what I have dubbed “Potty Prep.” We aren’t Potty Training, but Potty Prepping. Potty training girls is different than potty training boys. Kaitlyn has always had a fascination with people going potty. She loves to watch. For quite some time, she would come in the bathroom with me every time I went potty and tell me what to do next, even down to drying my hands. Brayden never wanted to watch. For the last couple of months, Kaitlyn has wanted to sit on the potty often. Recently it turned into every day after her bath. She would sit and smile (on the big potty–our huge potty that is really too big for me). Last week one day, I encouraged her to actually pee. Her face turned red as she tried to push it out, but no pee (which isn’t surprising since you shouldn’t really ‘push’ pee out). Last Friday, Kaitlyn sat on the potty after her bath and actually peed! I was very excited and gave her a dozen real kisses and one chocolate one. She loves those (both). Every day since, she has peed on the big potty after her bath. Yesterday she started asking to go at other times of day, though no peeing yet. I am not quite ready to get into real training for her yet. She has the interest and desire. She has some actual success which in my mind is a great milestone after our experiences with Brayden. She is very good at following verbal instruction. She doesn’t, however, have all signs of readiness for complete potty training (for example, waking up dry from naps). The main reason I am not quite ready is frankly lack of energy since I am pregnant. I am hoping second trimester energy comes in and gives me that boost I need. For now, we are taking it easy and she is progressing nicely. It will really be a different experience potty training a child this young. Brayden was twice her age. Communication is very different with a child who is just three than a child who is 18 months old. I am, never-the-less, very encouraged (and surprised) about her enthusiasm and desire to do this. I saw a special on TV that said the average age of potty training in 1957 was 18 months…versus today where the average age is 38 months…I hope that it works out early for you! I’m not entirely sure how it happened exactly, but Sadie Beth is now pooping on the potty almost every day at least once, sometimes twice. She’s only 13 1/2 months. 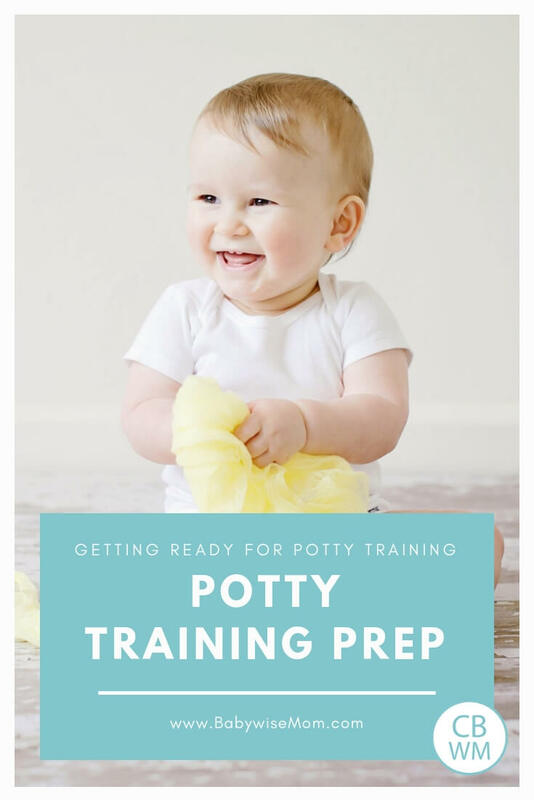 I never thought I would be “potty prepping” my child who can neither walk or talk, but I suppose that is what we are doing. It all started one day when she was getting ready to poo in the bathtub and I really didn’t feel like cleaning out the tub. So, I yanked her out of the tub and put her on the toilet, hoping she would at least have the urge pass if she didn’t go. Well, she went and we cheered. The next night, she got out of her high chair after dinner, crawled over to the bathroom and signed please while pointing to the potty. And she pooped again that night, and the next, and the next, and so on!I’m certainly not pushing her at all but totally letting her do her own thing. Have you heard of “The Baby Whisperer Solves All Your Problems”? It’s Tracy’s second book in which she says that her favorite age to start potty training is now at 9 months. It’s actually potty prep like you said. She says she’s seen that this is the most effective way. When the baby is 9 months you can start putting on the toilet after meals, etc. I’ve begun this with my now 10 month old and he actually does poop after meals! He likes this potty moment because I also sit in front of him and sing songs, as well as give him bathroom stuff to play with. I’m not in a rush for anything, but this potty time in the routine is getting him used to the whole thing, I like it! Tracy says the routine goes from EASY to EEASY (Eat, Elimination, Activity, Sleep, You). usmcfamily04 — thanks! I have read the average readiness age for potty training is 20-22 months…so hopefully we can move toward success. Blair, that sounds great! That is exciting. Cristine, Thanks for that info! Pottywise talks about how many Asian cultures poop train at 12 months. For me that is the worst thing about changing diapers, so the earlier the better! I never thought I would be potty prepping my son this early either but he has amazed me. 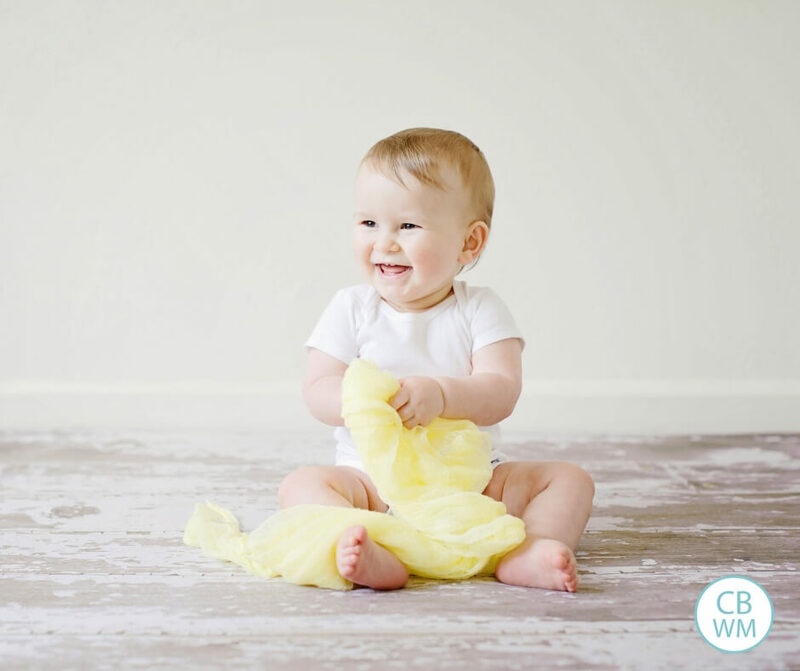 At 14 months, he discovered that he was able to pee when he thought about it. When i noticed this, I bought him a potty. And since that day he has peed on the potty every single I have sat him there and told him to go. He is definitely not holding it so he can only go there, but he will go whatever he's got in him (which really isn't much).So where do I go from here? Just keep sitting him there throughout the day or is there something else I can do to help the training process? LEM,The Baby Whisperer says starting at 9 months to put your child on the potty every time he finishes eating. So it would be eat, potty, wake, sleep, eat, potty, wake, sleep…At that age, I would just continue putting him on the potty so he can feel comfortable with it. As he starts to show signs of being able to hold it and wait for the potty, you can start training. That is exciting!